If you're like us, you look to the seasons for what to cook. Get to the market, and we'll show you what to do with your haul. Today: Your shallots want to be heroic -- this is how to let them. I bet you have shallots in your kitchen right now. They are your right hand man: they're the thrumming foundation of a proper vinaigrette, an early step to your risottos, the start to nearly anything good. But they're not an unsung hero. To be one, they'd have to be heroic. In side after side and main after main, shallots don't save the day. They're buried under flashier ingredients, taken for granted; more burly, unwavering constant than raw, undiscovered talent. Under rice, or layers of olive oil, shallots are never waiting to emerge. They aren't about to blow up the scene. That is, until you let them be their own dish. 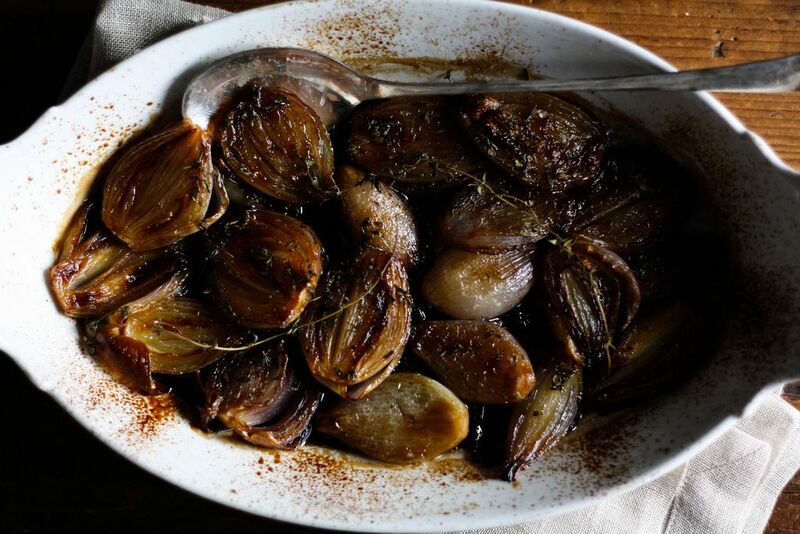 Here is how to do it: you crisp them in olive oil and brown sugar, and smother them in thyme and balsamic vinegar. Give them a good swig of sherry, because they, like you, could benefit from a nip around the holidays. You roast them in a hot oven until they're thoroughly slouched. Once you do those things, you'll have shallots with real courage. 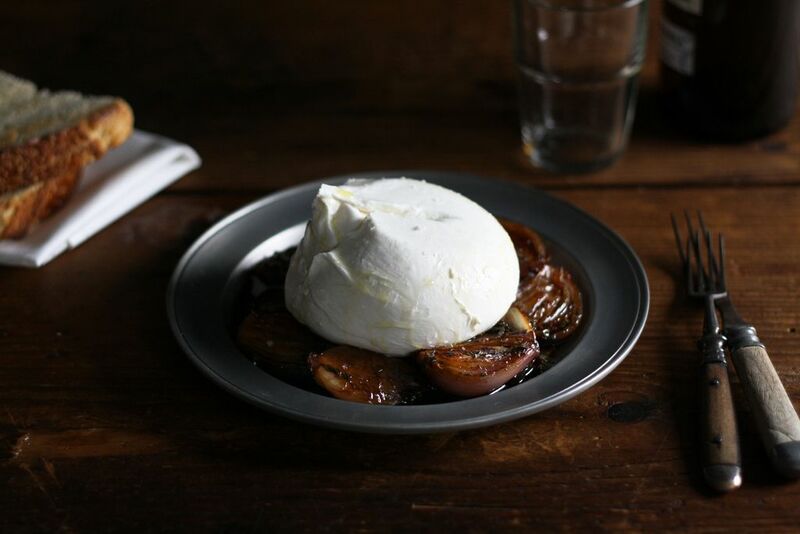 Slicked in sweet balsamic, they'll save anything -- dinner, your sandwich, that great pile of pasta you just cooked. They can, and will, save your first course, just as soon as you serve them underneath a fat buddha ball of burrata. Eat them, bite for bite, with your majestic holiday roast, or put them in your detox kale salad next year. Just don't, whatever you do, quiet them with a circus of ingredients. 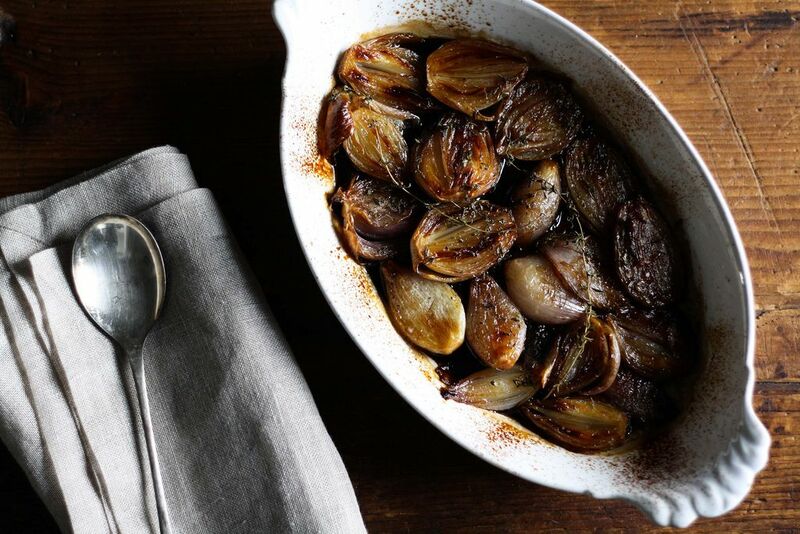 Let your shallots stand alone. Let them be heroic. 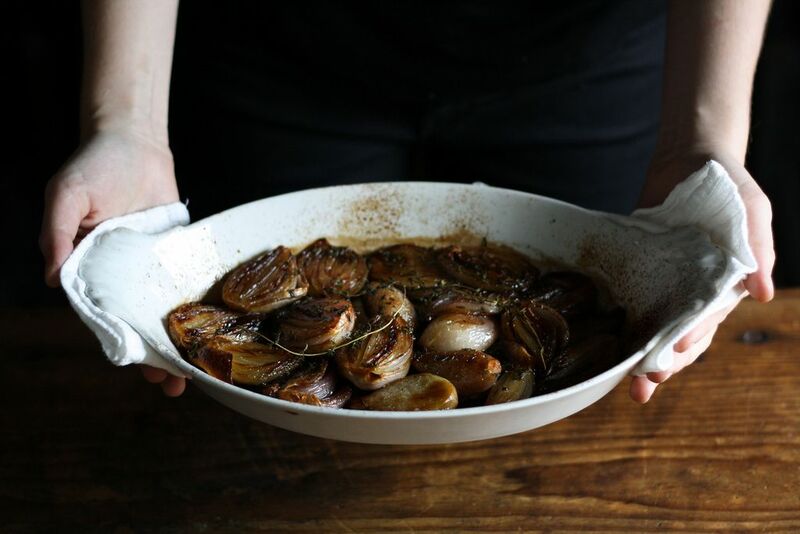 One of my favorite appetizers (and favorite way to eat shallots) is to roll them around in some olive oil and roast them whole (and unpeeled) in a hot oven. Once they are soft, you can cut off the tops and squeeze the soft flesh out. I like to serve them with toast and soft goat cheese... so delicious! I will give this recipe a try, though: I like that my guests won't have to wrestle with the skins (as much fun as it is, it is a bit messy). Looking forward to trying out this dish. There is no way to go wrong with this combo of ingredients. Right? Let me know if you try it! These are wonderful but I think should be called "Sherried Shallots". It has a more a poetic sound don't you think? LOL : ). More sherry than balsamic vinegar is used and I use cream sherry. It is also best for pressure cooking short ribs and onions. The sherry's the thing! Delicious! Sherry is the thing -- couldn't agree more. So glad you liked them! So as I was (just) saying....these are the wonderful lil things that made my latest Potato/Ham casserole shine like the Northern Star! I love shallots. They are so flavorful without being overpowering. I will definitely try this recipe. I made these for Christmas dinner and can attest that they are, in fact, heroic. They're all the good things about shallots you wish you had more of when they're just flecked throughout your dish in needle-in-haystack fashion!